For over ten years now, I have worked with two Ayahuasceros, or Ayahuasca Shamans, in the Amazon jungle of Peru. Their names are Don Ignacio, and Don Panduro. I was introduced to them through Dr. Alberto Villoldo who has worked with and vetted them for over two decades. Each year I participated in the ceremony on average for three or four nights; and each of those forty plus ceremonies was unique, from mild euphoria to horrendous madness that had me begging for death, to the most profound views into my subconscious and the collective superconscious and subsequently valuable clarity and insights. I do not consider the Ayahuasca ceremony to be a necessary part of the healing journey; there are far more gentler ways to get it done effectively – like my session work as one example. However, it is one of the biggest hammers in the toolbox; and, since it is like strapping yourself to a rocket ship, it does offer a great opportunity to develop mastery in a relatively short period of time. I will cover what I mean by this in further detail below. 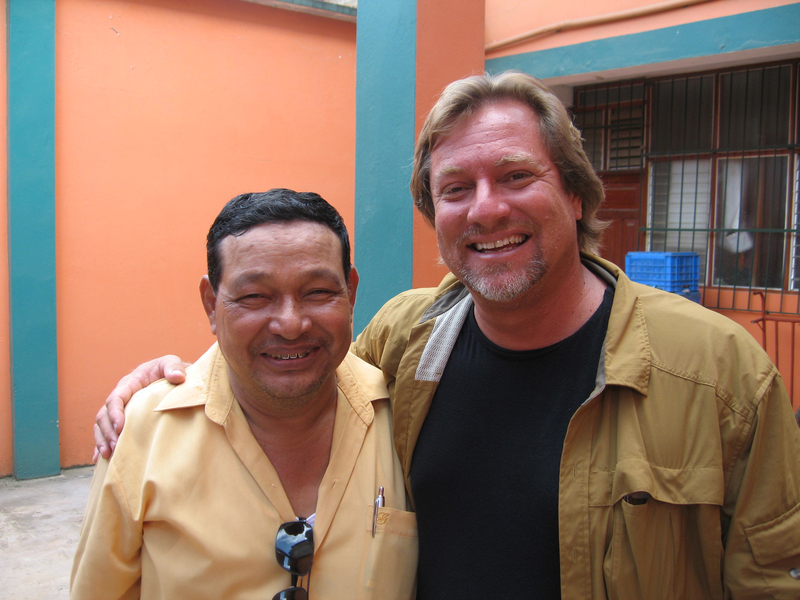 For the last several years, I have lead groups and individuals into the jungle to work with Don Panduro, and each time they have found it valuable to go in with all that I could share ahead of time. In this article I wish to share with you my experience and understanding of this powerful medicine in the most simple and concise way possible, and from the perspective of engaging with it as a shaman or person of power. 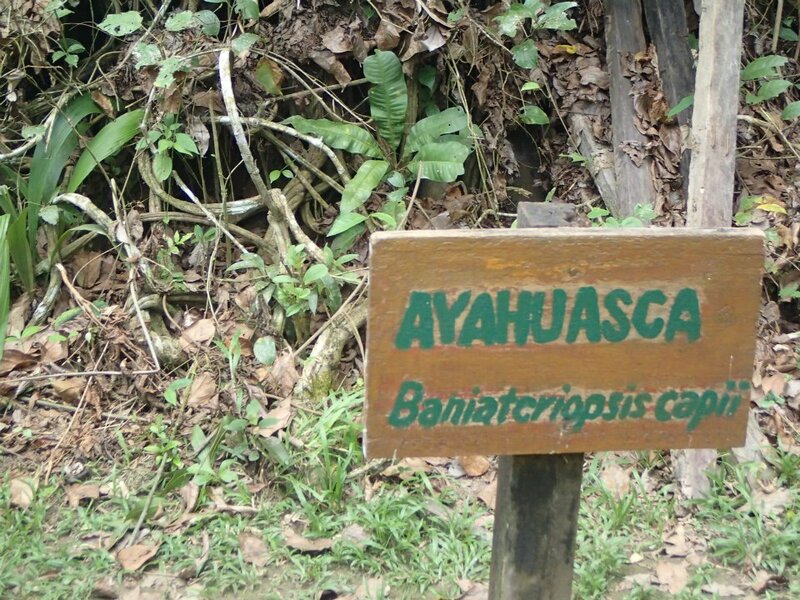 Ayahuasca, of which the actual drink is known by various names including Yage (ya-hay), Natem, Cipo, or Shori, consists first of the bark of a jungle vine known as Ayahuasca in the Quechua language of Peru, which literally translated means vine [of] death. This vine contains the MAO inhibitor that allows the medicine to pass through the intestine and the blood-brain barrier without being metabolized or oxidized. The second component is the leaves of a plant called Chacruna, which translated means plant [of] people. 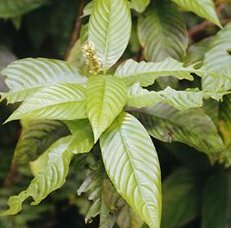 This plant provides the psychotropic chemical DMT (N,N-dimethyltryptamine). Many other plant components can be added to obtain various results during the ceremony, for example, Amazonian black tobacco (Mapacho) for cleansing and purging. Other plant components can be added for protection, healing and curing of specific ailments and afflictions both physical and psychological including addictions and PTSD, and for various visionary or grounding effects. The ingredients are boiled in water for as much as 12 hours to obtain a concentrated drink. And most importantly, the Ayahuascero who prepares the drink, has gathered the plant materials his or herself directly from the nearby jungle where they have a very deep and personal relationship and dialogue with the souls of the plants. The Ayahuasca Shaman is required to go through a very intense initiation and training that has to do with creating a relationship with, and getting all of the information necessary directly from the plants. For example, in the case of Don Panduro, starting at age 13, he spent three years alone in the jungle. The first year was a regimen of walking in seven directions over time through the jungle, on a special diet, and ingesting some of the plants and having songs come to him that he would later use to call on specific spirits to aid in the ceremony and healing of his clients. These songs are called icaros. Fundamentally, by the time an Ayahuascero is ready to use his or her medicine to help people, they are ideally masters at calling in all of the non-physical/spirit helpers from the jungle and elsewhere, and are able to keep away spirits that would try to interfere with, use, or cause harm to the participants. This is referred to as holding sacred space, and is a critical skill of the Ayahuascero because great damage can be done to the soul, psyche, and body of the participant if the space is breached by a malevolent force. In fact, there are also some Ayahuasceros who will practice sorcery and may have malevolent intent themselves, and thus it is critical to work with a master/Maestro who has been well vetted and is trustworthy. 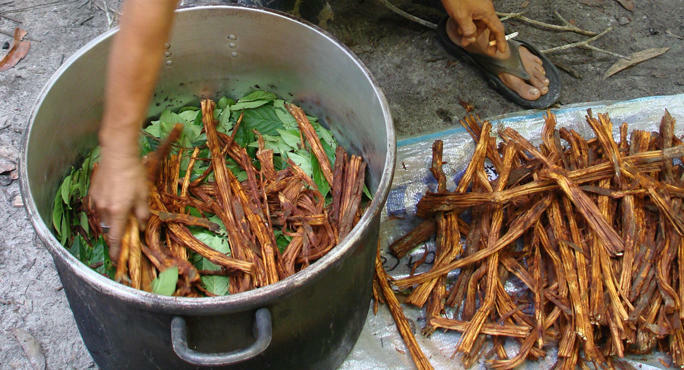 As a participant, there are several considerations when preparing to engage in an Ayahuasca ceremony. The ceremony is usually held at night starting between 7pm and 8pm and will last typically for 4 hours. Sometimes there is residual effects into the night, but usually by the next morning, you will feel exceptionally good, i.e. no hangover as this is truly medicine and not a drug. For strength, but to have and empty stomach and little food in the intestines, I like to eat a good breakfast, and a very light lunch, with no dinner. It is best to avoid alcohol and any drug that would interact adversely with the MAO inhibitor and DMT. Marijuana as common as it is these days, is not compatible with the intent of the Ayahuasca and will block vision and generally cause a heavy and dark sense around you during the ceremony. It can also induce much unpleasant purging, as can any other impurities or heavy energies in your system. And since Marijuana stays in the system for up to a month, its best to avoid if possible. Pure tobacco is compatible, and can be smoked even during the ceremony as it is widely regarded as a powerful cleansing plant. As with all shamanic ceremony, it is helpful to develop an intent or set of intentions before going in. And I would say that since you are potentially strapping yourself to a rocket ship, nowhere is it more important than with Ayahuasca. Don Panduro does a great job of helping with this at the beginning of the session, but not all ayahuasceros will. You will want to ask yourself which parts of your life experience you would like to change or improve, for example, health, relationships, work, and/or resources. Panduro analogously uses health, love, projects, and/or luck. The plants, non-physical helpers, and the Ayahuascero will work with you during the ceremony to clear old patterns and blocks that are influencing you from creating your ideal experiences on the energetic soul level, your subconscious mythic level, psychological level, and physical level including your DNA; just like a the sessions I do, but at a thousand miles an hour, with all channels open in your brain, creating many distractions, and potentially puking your guts out – or the other direction. Warning: As with all shamanic healing, the physicality, chemistry, and psychology is only a small part of the deal, so if you go into the ceremony for recreational purposes or to just have beautiful visions, you may end up with very little benefit or it may even set you back years on your healing journey. When engaging with any shaman, the reality is that your are asking to become a person of power and freedom, not just to feel good during or immediately after a session. You may see pretty colors and answers to the Universe, but you may also see the hundred different ways you could die a slow and painful death, or get stuck in a maddening and relentless loop of thought patterns and images. In either case, it is part of developing your mastery to go and see what would be of most benefit to you and others in your life. During the Ayahuasca ceremony, or any other shamanic ceremony for that matter, it is important to remember that you are the master of your own domain and life. You alone are the creator of your own experiences. There is nobody, no authority, above you, including the shaman, the non-physical helpers (some call spirit guides, Panduro calls doctors), and the plant medicine. Never surrender your power to anyone or anything like this. You are essentially hiring them to help you achieve what you decide you want to achieve. If you surrender and leave yourself open, you may be held in a benevolent way and still get something out of the work, but you may also end up somewhere that you realize you don’t want to be. This is what I mean by going into the ceremony as a shaman, master, or person of power. I open my own sacred space around me, in addition to the sacred space that the Ayahuascero keeps, just in case. One of the things that I know and appreciate about Don Panduro is his fierce ability to hold space and ward off beings that inevitably get interested in taking advantage of the participants in the state that Ayahuasca creates. This is one of the main reasons that I hesitate to work with anyone else who has not been as carefully vetted and proven over time. And also the reason why I prefer to work with the Ayahuasca in the jungle close to where the plants live, and where there is the greatest level of support, nurturing, and absorption ability of all the plants and earth there. The jungle even without the ceremony, is an ideal place to shed heavy energies the way the anaconda sheds it’s skin, and to receive the fundamental healing properties of “Nature’s pharmacy” on every level of your being. As the ceremony begins, the ayahuascero will hand you a small cup of the drink. It can taste very bitter and unpleasant. The mix can vary quite a bit in potency and characteristics. It typically takes about 20 to 40 minutes to begin to take effect. You may begin to enter an altered state of consciousness, and or you may feel ready to throw up around that time. If you do throw up, it’s a good thing, and very different than throwing up from being sick at home. In this case, it is like you are more observing yourself, and you may also be altered enough to see the heavy energies going with it. You may also experience the cleansing going the other direction instead, which can induce impressive bowel movements right then, or the next day. This is less common, but you can also ask the medicine to do what you feel you need most. The last several times, I have not thrown-up but instead chose the high-colonic. The medicine will rid your intestines of parasites and other maladies. Here is where it gets interesting. All the channels available to your brain will be on at the same time. It is like having a room full of television sets with about a thousand channels, each one seeming to vie for your attention. The key here is to stay focused on that which serves your original intent. You may be pulled away momentarily, but you can use a swift exhale of your breath to “change the channel” back to where you want to focus. Remember that you are the master. But at this point your mind is not very helpful as it is the culprit so to speak, so using your breath, and/or the songs and sounds from the ayahuascero is key. Also, simply asking mentally for help will engage all of the beings present to come to your aid. You may be “seeing” beautiful and elaborate visions or colors in your minds eye. Your physical eyes are best to keep closed to help keep your focus. You may also have visions from your past or future, but again, unless they are aligned with your intent, they are mostly a distraction. You may also be distracted by other participants, or your desire to engage with or help them, but this is not the place or time, and you will only be interfering with their journey. You may also experience the ceremony as if nothing at all is happening. This is still the opportunity to work on your mastery. I discovered in my last journey, that if you are a leader, then the medicine will wait for you to take the lead. For example, I used it to travel through time and space and check on some things. In this case, as soon as you take the first step, the medicine will kick in an help you with the next one-hundred steps so to speak. This four or so hours within the Ayahuasca ceremony is a tremendous opportunity to exercise the muscle of becoming a master at creating your own experience. It’s like in boot camp, when a soldier wears a 60lb pack as they run up a hill, so that later without it, they can really jam. With the challenge of having every channel open in your brain and soul, and all possible distractions, to be able to focus your thoughts and energetic signal and let go of that which does not serve your intent will make doing this in ordinary reality that much easier. The opportunity for mastery begins even with the physical purging. For some people, that feeling of nausea can last for the entire four hours, and I have seen them spend the whole time in dry heaves. What I coach in this regard is to purge the first time completely and with abandon until there is nothing coming out, and then use your breath and decide at that moment that you are finished with that. Go back and focus on working with your original intent with your team. Ask mentally and allow the ayahuascero to help with any further need to shed heavy energies in lieu of the nausea and dry heaves. The master ayahuascero and their icaro songs, rattling, and/or whistling is a critical part of the ceremony. Panduro will also use his tobacco to perform sucking extractions and other clearing. I have felt his tobacco smoke go through my body and cleanse. I have also experienced his whistling going through my body working on various areas and rearranging energies. In one instance I was sure that he was standing right behind me working the sound of his whistle through my body and mind, and then opened my eyes for a brief moment to see him standing 50 feet in front of me. Without writing a whole book about this amazing form of healing, I hope that this article helps you to understand enough to make decisions on whether or not and how to participate in a way that serves you best; and if so, to do it most efficiently and effectively without taking so many times to “figure it out” on your own. It is really a personal relationship between you and the plant, and you may not resonate with this particular medicine. For example, I do not resonate as well with Peyote or San Pedro (the mescaline based cacti), while others do very well. And in fact, for some time I have no longer felt compelled even to work the the Ayahuasca, and only do so now to participate occasionally with the groups I bring to Peru. 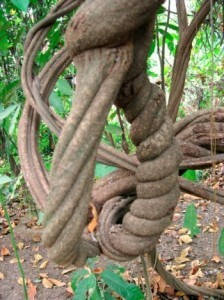 The most important point I would like to leave you with is that Ayahuasca is a very powerful and intense medicine. It is much more than just physical chemical, but instead a very conscious healing force that will bring you what you are asking for, whether you are fully conscious of what you are asking for or not, and whose work on you can continue for more than a year after the ceremony. In every ceremony that I have participated or heard about, each individual present had completely different experiences on the full range I have described and in the same night. Therefore, comparing or expecting to have an experience similar to another is futile at best. As in life, it is your journey to be taken in your way and at your pace, and your choice to employ whatever may help you along the way, and to avoid whatever may impede you. There is so much for you to choose from, and I hope you have a clearer understanding of at least the way of the Ayahuasca ceremony and of what I consider to be the gentler, but still as powerful work that I offer in my shaman sessions, during which I often call upon Don Panduro and the Ayahuasca in spirit as part of my team.